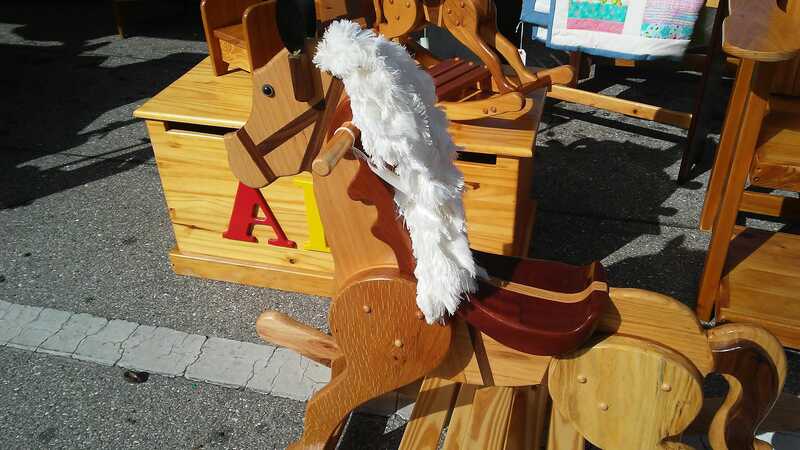 Many hours of drawing, building, cutting, fitting, sanding, and finishing with care and good old American Pride in Craftmanship all add up to one thing - a timeless, collectible, generation piece for your child to use - ride, imagine, love and grow up with - and then pass on to the next generation. It is truly an heirloom piece constructed of premium select hand picked domestic wood - finished to a mirror sheen with non-toxic, eco-friendly products. 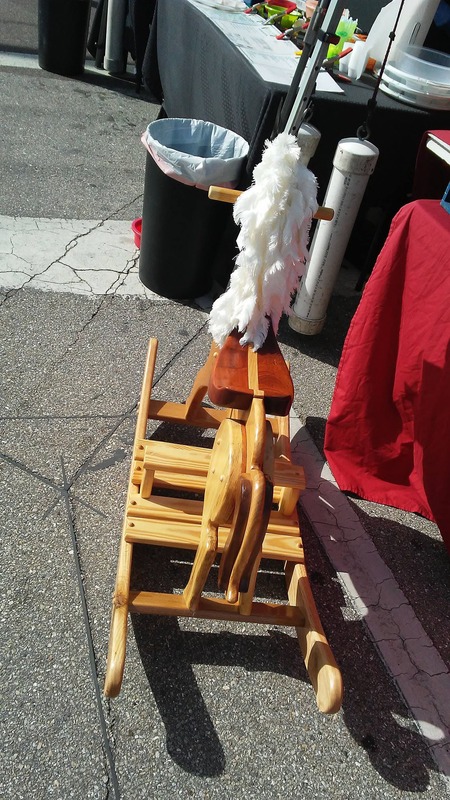 The rockers measure 43" long, and are made in an anti-roll fashion, so they "stop" rolling the horse over. The horse is 14" wide, and stands 28" High. "Rocky" comes complete with a "saddle" - made with comfort in mind - no hard edges. 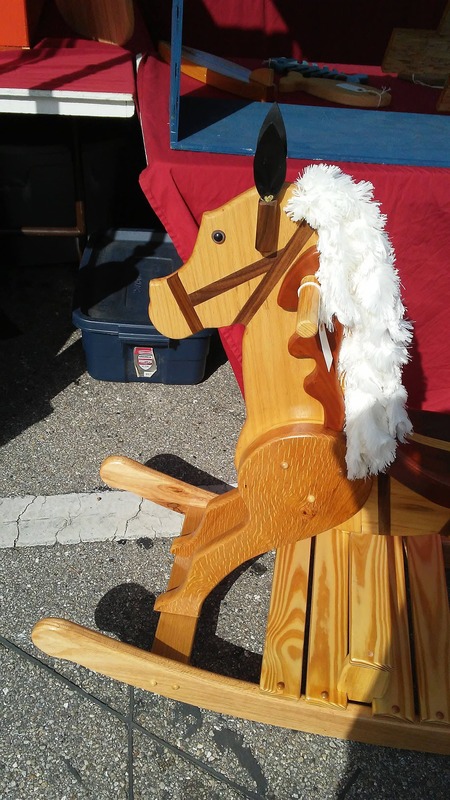 Handles are constructed into the horse's head for your child to hold onto and ride away....for hours of fun and imagination. 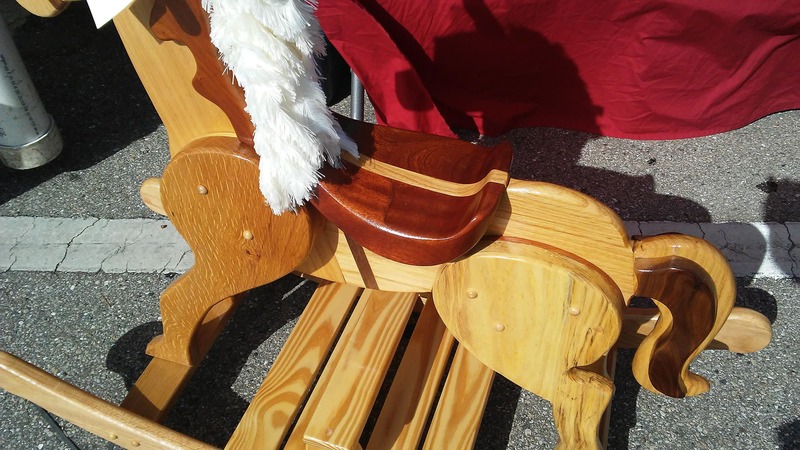 The bridle straps and saddle straps are all individually oak inlays right into the body of the horse. Rocky's mane is hand tied, brushed and cut from pure wool. 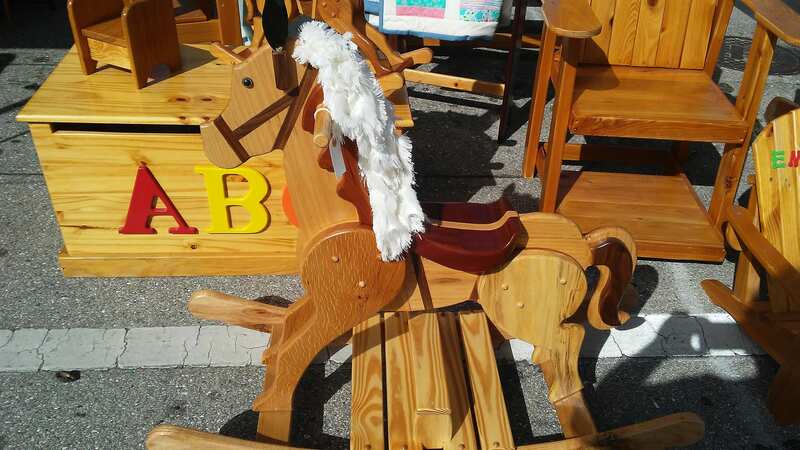 This horse is built to hold up to 200 pounds -safety and durability is the Wood Nook's first priorities - pride in craftmanship, and generations of enjoyment are a close second. Another great Waldorf Educational Toy! This is truly a unique, collectible generation piece. The Wood Nook would be proud to customize this piece for your child - with name, date of birth, name of gift giver, or whatever would make this special and unique to your little one. Call us at (401) 258-2157 or email us at woodnookllc56 [!at] gmail.com with any questions, or to have us help you place your order.